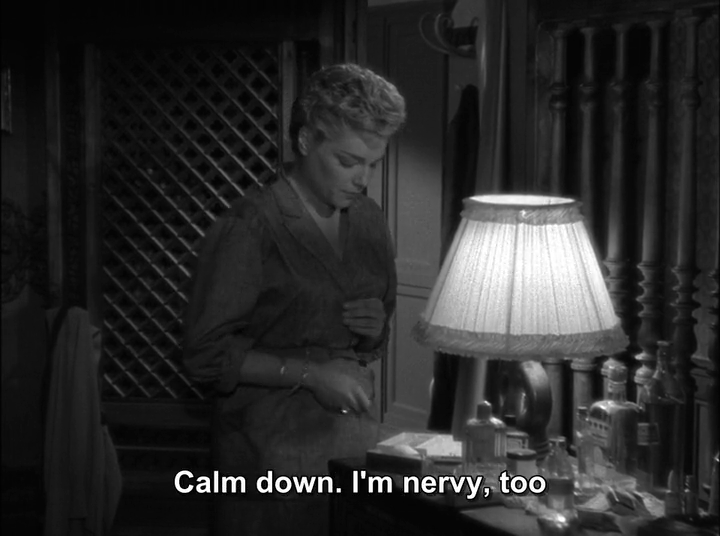 Nicole Horner (Simone Signoret) is a teacher at a private school, where she gets involved into a dangerous love triangle. 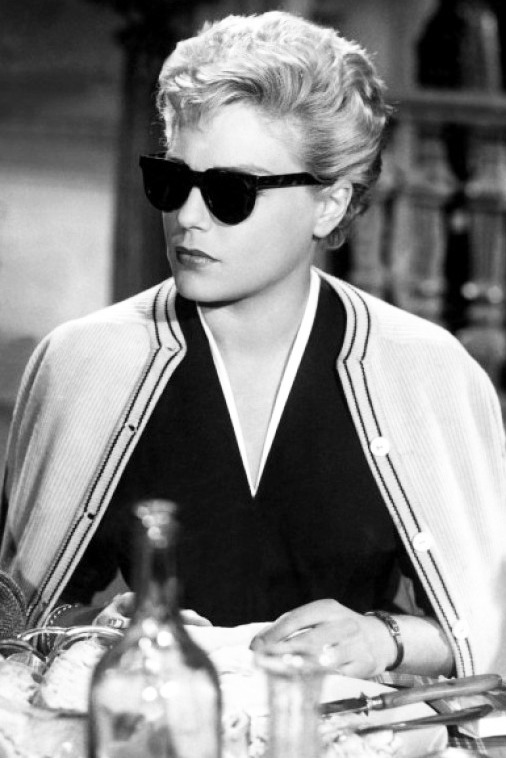 She’s a cool plotter and an elegant lady: she navigates the stormy waters of the plot wearing trench coats, pencil skirt-shirt-cardigan combos, belted dresses and chic sunglasses. She’s a pragmatic woman, so it’s not a surprise that she uses eau de cologne as rubbing alcohol. In the scene above, she is about to give a sedative shot to poor Christina Delassalle and takes some liquid from a bottle sitting on a dresser. 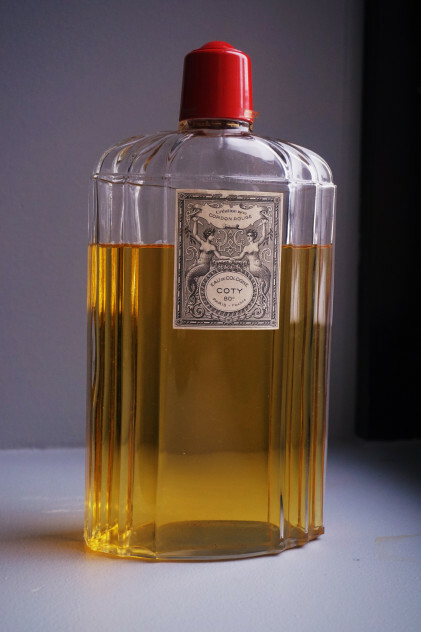 The bottle in question happens to be a Coty one, with the trademark fluted details. 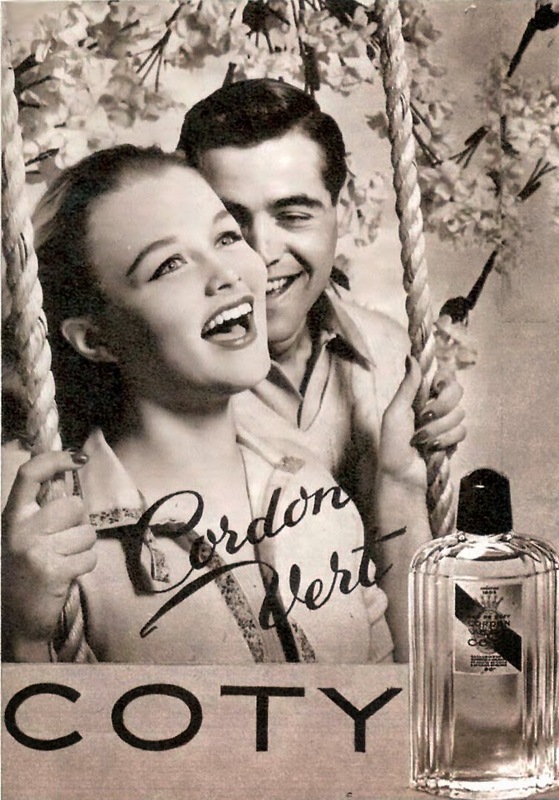 We can’t identify the exact perfume from the front label or from the colour of the stopper (since the film was shot in black and white), but we can make some assumptions. Judging from the shape of the label, it could be the cologne Cordon Rouge or Cordon Vert, originally launched in the early 1900s. In the 1930s/1940s most of Coty colognes had this bottle, so this one could also contain L’aimant.